This Lunar New Year, we pay our respects to Big Sister's Island, part of Singapore's first Marine Park. Thanks to NParks for permission to survey after sunset. 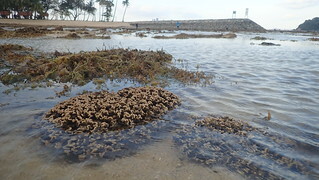 There are many corals along the artificial seawalls and inside the artificial lagoon. We see all kinds of marine life too. 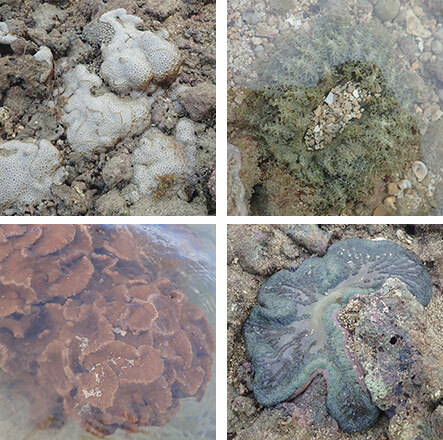 Alas, also signs of coral bleaching on some of the corals, and the Big Lagoon has become much sandier. 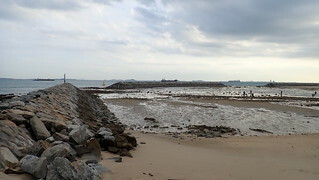 Here's a glimpse of what I saw, on this pretty little island just half an hour from the Central Business District on mainland Singapore, and near major shipping lanes. 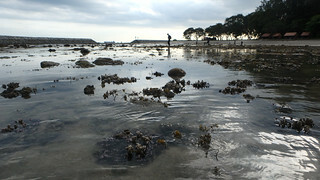 Most of the shores on both Big and Little Sisters were reclaimed: seawalls were built on the reef edge and the reef flat buried. The original islands were much tinier. Most of Big Sister's Island is ringed by artificial seawalls, which create two swimming lagoons. 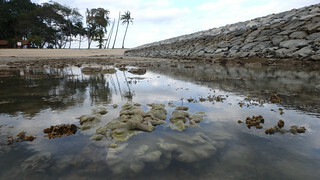 The Big Lagoon has many corals on the inside of the seawalls and in the middle of the lagoon. 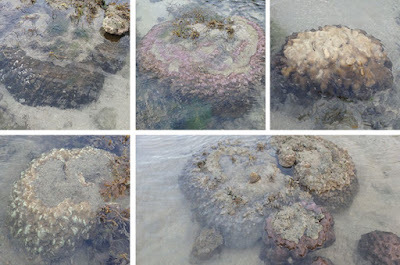 I saw many Pore boulder corals, some had pink or pale patches, suggesting that they are not quite well. Many of the large Merulinid corals were had pale to white patches. 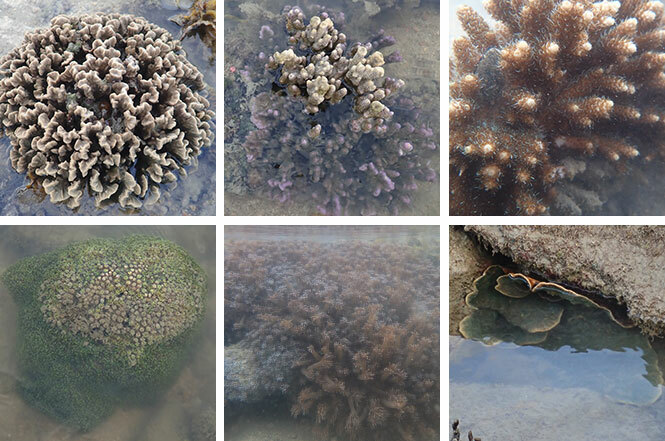 But it was great to see many Sandpaper corals that seem to be doing well. I also saw Branching montipora corals and one small Acropora coral. 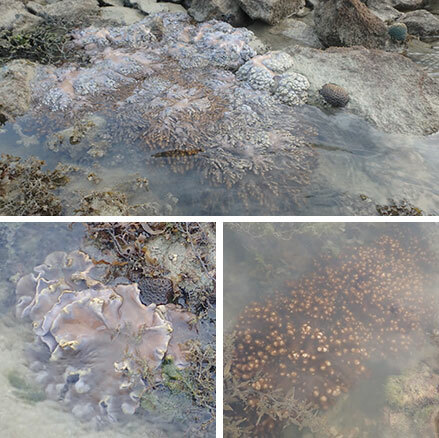 As well as one Galaxy coral and many small Anemone corals and some Disk corals. 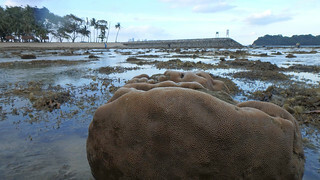 I saw many Circular mushroom corals but couldn't take a nice photo of them. All were not bleaching. I also saw some medium to large leathery soft corals. All seemed alright. 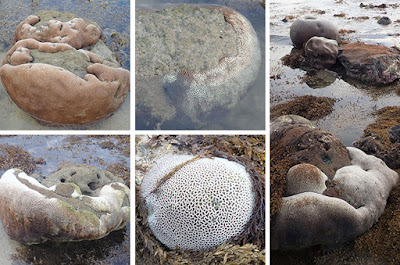 I saw many Sea mat zoanthids that were very pale. There were many Frilly sea anemones, and some Giant carpet anemones, none were bleaching. And I found a large cluster of Ridged corallimorphs that eluded us on our Jan 2018 trip. The rest of the team saw lots of colourful flatworms, nudibranchs and other interesting marine life. The Big Lagoon has become much sandier. I noticed this on our last survey in Jan 2018. There were lots and lots of Oval moon snails in the sand. 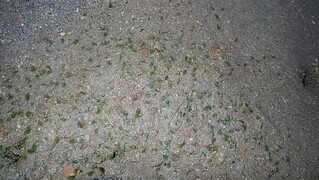 Spoon seagrasses with super tiny leaves sprinkle the sandy area here. 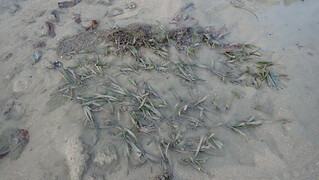 The small patch of Tape seagrass in the small lagoon is still badly cropped. Some of the team saw Common sea stars here. There was a group of other people set up in one of the shelters on the island. They were not fishing and left before sunset. We did not come across any fishing nets or traps. 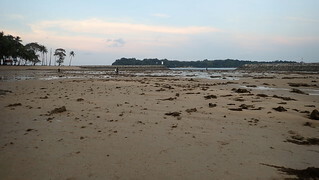 This island is now part of the Sisters Islands Marine Park. Like many parks in Singapore, you can visit Big Sisters Island any day from 7am to 7pm. You don't need a guide or a permit to visit during these times. Marina South Ferries now offer travel to the Sisters Islands on weekends. Besides the ferry, you can also hire a water taxi to take you there from Marina South Pier. There are about 10 commercial water taxi companies located there. You can call to book a taxi or just go to the Pier and get a taxi. Most leisure visitors go with Island Cruise, which caters to tourists. 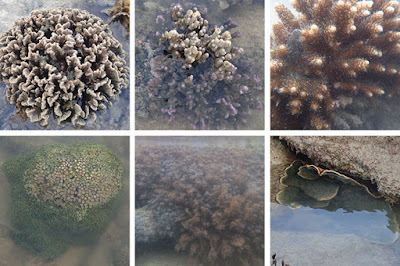 More about the Sisters Islands Marine Park on the NParks website and on the Sisters Islands Marine Park blog and facebook group.